Peter Lichtenthal (b Pressburg [now Bratislava], 10 May 1780; d Milan, 18 Aug 1853). Austrian writer on music and composer. A doctor of medicine by profession, having earned his degree in Vienna, he settled in Milan in 1810 as a censor for the government. He was a close friend of Mozart's son Karl, and an ardent proponent of Mozart's chamber music. He composed about 50 works, including seven ballets for the Teatro alla Scala, church music, orchestral music (about 15 symphonies), chamber music, songs, piano and organ works. A number of these were published; most of his manuscripts are in the Milan Conservatory library. Lichtenthal's importance lies in his writings, in particular his four-volume Dizionario e bibliografia della musica (1826), which although full of factual errors, and being in significant measure a translation of the dictionaries of Gerber (1790–92), Koch (1802) and Castil-Blaze (1821) and the bibliography of Forkel (1792), is nevertheless a landmark in the development from dilettantism to modern, systematic bibliographic method. "GLIARCHIENSEMBLE®" borns in 2003. It consits of eleven elements: six violins, two violas, two cellos and one double-bass player. Their collaboration with great soloists and conductors (as Boris Belkin, Gunter Neuhold, George Pehlivanian, Hubert Soudant etc.) and the experience on national and international musical stages allowed the ensemble to refine a wide repertory of high level. 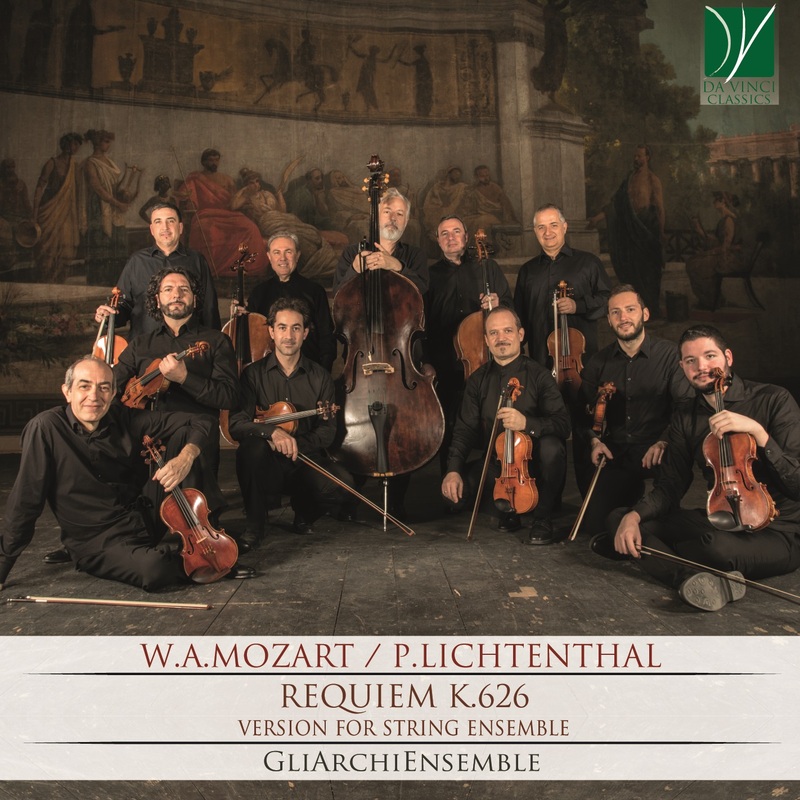 In 2005 "GLIARCHIENSEMBLE®" records Antonio Vivaldi's Concerto for four violins, strings and harpsichord, within the project "Il Legno Magico" conceived by the violinmaker Roberto Regazzi ata the "Teatro Massimo" in Palermo. In the same year they performs at the International Bibliographical Music Museum in Bologna. In May 2005 they are invited to perform at the Grat Hall of Sidney's Music Conservatory for the Sidney Italian Festival. "Gliarchiensemble" return to Australia two years later performing at Sidney's Verbugghen Hall and at the Wesley Uniting Churchof Canberra, in the occasion of the Italian Republic celebration. In July 2007 the take part in the international Music Festival of Carthage performing in El Jem and Hammamet. In 2007 they also open the first Musical season organized by the Italian National Television of Palermo. For which they regularly perform with ambitious programs broadcasted on the RAI International satellite channel. In April 2008 they tour in Veneto (Villa Contarini, Auditorium G. Comisso, Teatro Sociale) In mArch 2009 "Gliarchiensemble" perform in Switzerland sponsored by the "Kultur Stiftung St. Martin Muri". They will perform in China (August 2009) and in Venezuela (December 2009). In 2010 “GliArchiEnsemble” were on tour in Brazil, Argentina and Uruguay and then they performed at the “Cantiere Internationale D’Arte” in Montepulciano, Italy. In December they took part in the Stiftung Kammermusik um alb acht festival in Basel. GliArchiEnsemble have had a pleasure to present, at the Palazzo Steri in Palermo, the 2016 Season of the Amici della Musica of Palermo with the performance of "La Morte e La Fanciulla" by F. Schubert and then to perform at the Cathedral of Palermo together with the famous pianist of Iranian origins Ramin Bahrami in a concert focused on the Bach repertoire of which he is one of the greatest performers in the world. The 2017 many concerts and events with great collaborations such as the oboist C. Hartmann and the pianist A. Bacchetti.